Thoughtful and rich with advice, The Mentor's Guide explores the critical process of mentoring and presents practical tools for facilitating the experience from beginning to end. Managers, teachers, and leaders from any career, professional, or educational setting can successfully navigate the learning journey by using the hands-on exercises in this unique resource. "The need for mentoring has never been greater. Securing a new generation of diverse leaders and the need for sustainable change are not easy tasks. 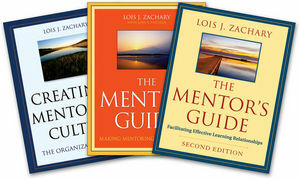 As I renew my commitment to mentoring, The Mentor's Guide is the tool I want by my side. It is jam-packed with everything I need to be successful and morenew exercises, concrete examples, and a road map for building an effective relationship." "The Mentor's Guide remains the go-to book for those seeking to make their practice of mentorship as helpful and accessible as possible. Practically written and grounded in a solid understanding of how adults learn, this is an invaluable resource." "Across all industries, we look to leaders to deliver broad-based results through others. The Mentor's Guide is an excellent resource for leaders interested in unleashing the potential of their team members. There is no greater gift that leaders can give their teams than to develop themselves." "The Mentor's Guide provides poignant insights and pragmatic instruction for conveying wise advice that fosters insight and facilitates growth. A must-read for anyone who cares about the power and potential of talent." "After more than a decade, The Mentor's Guide is still the best. It has stood the test of time and remains an indispensable tool for mentors across all fields." 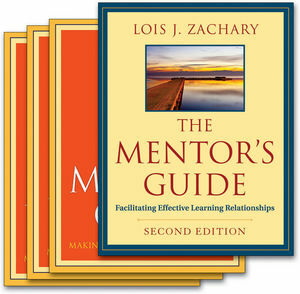 LOIS J. ZACHARY is an internationally recognized expert on mentoring. She is president of Leadership Development Services, LLC, a Phoenix-based consulting firm that specializes in leadership and mentoring, and is director of its Center for Mentoring Excellence™. Exercises, Examples, Tables, and Figures. Foreword (Laurent A. Parks Daloz). 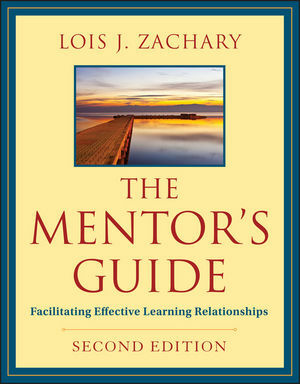 1 Learning: Grounding the Work of Mentoring. 2 The Context of Difference: Bringing Who We Are to What We Do. 3 The Context of Connection: Linking Up and Linking In. Part Two: The Predictable Phases of Mentoring. 4 Preparing: Getting Ready for a Mentoring Relationship. 6 Enabling Growth, Part One: Support, Challenge, and Vision. 7 Enabling Growth, Part Two: Engaging in Feedback and Overcoming Obstacles. 8 Coming to Closure: Looking Back, Moving Forward. 9 Digging Deeper: Reengagement and Resources for Learning. Transition Guide (PDF) : This content overview will help you transition your course to the current edition.